Million Machine March | More Marching Machines! Space is also a concern. You always want more HP, but at some point the case or rack just becomes too heavy to even move it around! I just finished this rack. 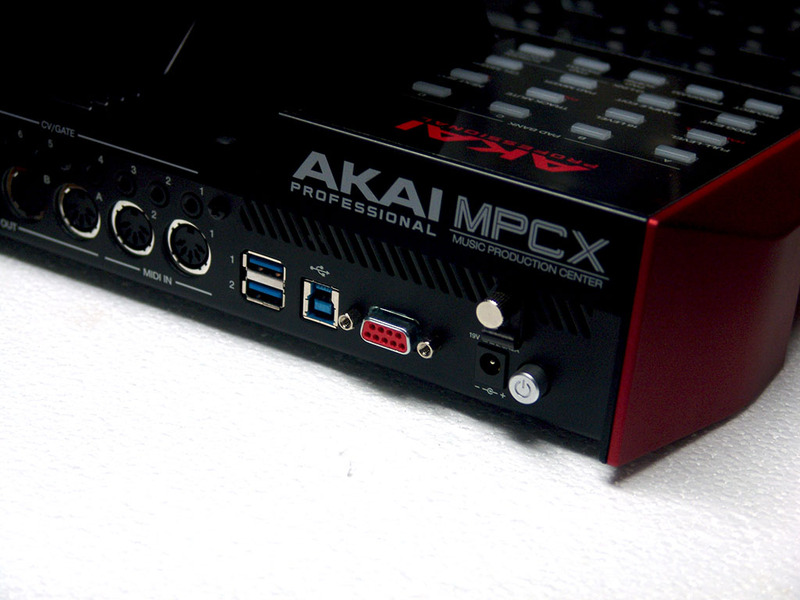 It is 150HP wide, 5-3U and 2-1U. I believe this is as large as you can make it where one person can move it. Any bigger than this it will take two people to move it. I have worked this design for a while now. This is the third version of it. Here is a link to my earlier efforts and how it came to be. I packed four PSU’s into this sucka’. So power specs are 16 Amps of +12V, 4 Amps of -12V, and 60 Amps of +5V! I have plenty of one off power crazy modules, so I really have need for this kind of current draw. One of the main trade offs for stuffing that kind of power into a smaller space is heat. You have to deal with that heat, so in this case I incorporated 2-120mm fans. Two fans for redundancy so one can fail and I can still operate on the cool. I kicked down the speed of the fans so they are not going full speed to cut down on the noise. When does DIY make sense? 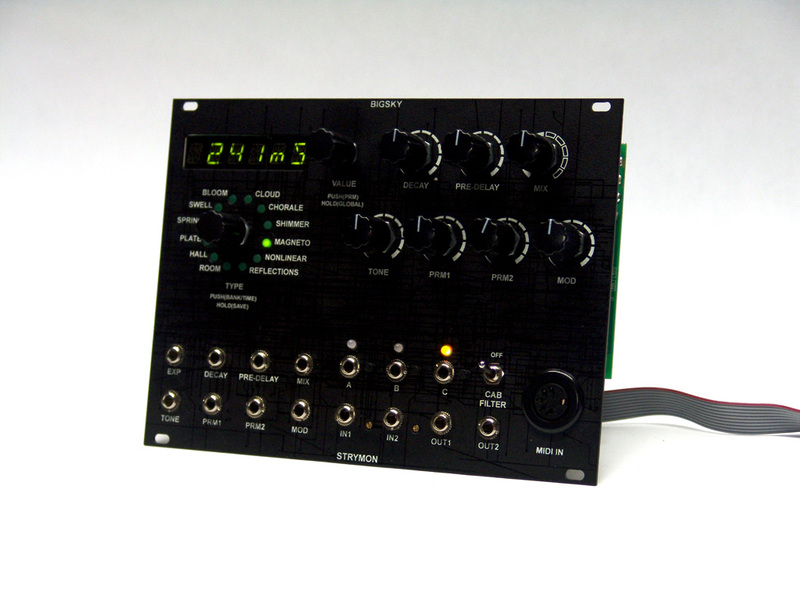 At some point, unless you are rich, you will hit a financial wall when building a modular synth. Sometimes the makers will have a DIY option and you might be able to curb some of those costs by building it yourself. However, the DIY option can be a trap if you do not consider how deep and complex the project is. I finished this custom set of World Cores and Control Cores and wanted to fill the remaining space with a custom set of utilities. The original DIY project of the World Cores/Control Cores took me a year to finish. That is a typical amount of time that it usually takes me to finish a fairly complex DIY project. So that would be one of the first things I would advise, is to have plenty of patience and time when taking on a DIY project. Next is passion! After taking a year to finish the core builds I knew I wanted to build a couple of custom utility modules to accompany the core set. It took me another six months to design and build those. I have a love for the old 8 bit gaming systems, so it was easier to be patient as I trudged through those builds. So, have plenty of ‘GO’ juice in the tank if you plan on finishing your build. Plan on getting an education! It’s one thing to gloss over a BOM and hit the big items on the list, but makers use all sorts of components when constructing their modules. There is a good chance you will not immediately understand their choices. That will immediately put you into research mode where you might have to delve in to understand how different micro processors are programmed or why you should solder the components in this order… …and so on. Expect to be stumped and expect to spend many hours scratching your head trying to figure this stuff out! 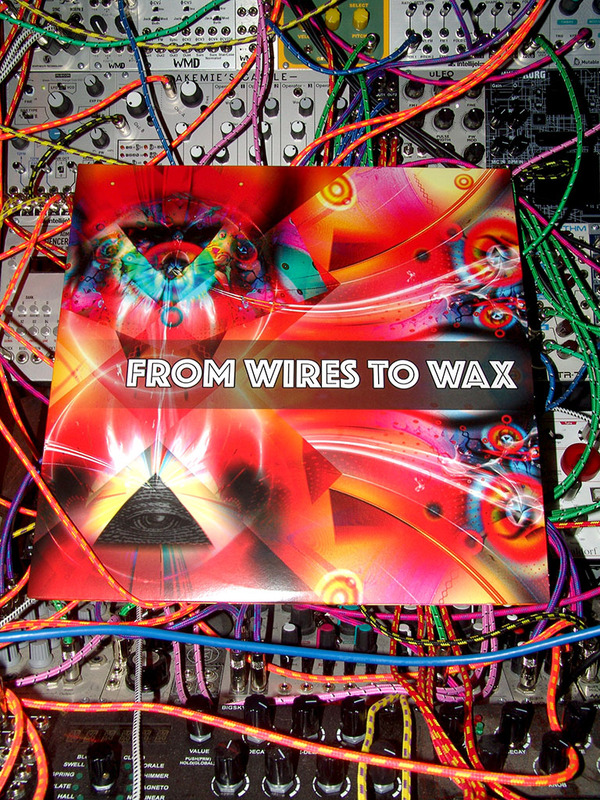 Put a varied collection of modular wigglers together on a double vinyl record and you get FROM WIRES TO WAX. Has it been a minute since you turned on the turntable? Now you have the perfect excuse! I have to admit I even now find myself playing down the pitch control and holding it down on the slipmat, here and there. Not quite feeling to scratch just yet… just holding, here and there. More info here: CLICK HERE! 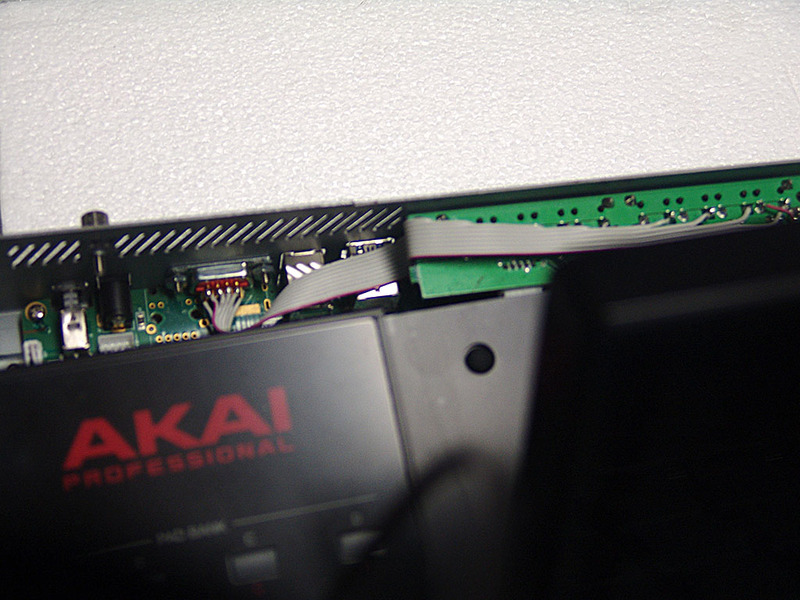 This new Akai MPC has gotten me pretty wound up. I am liking the new’er’,ish’ flow. One thing I wanted to add pretty quickly on was a panel just for the CV/Gate outputs right in my main rack and ditch the longer patch cables. So here is what I came up with. I am hoping for a sort of standard too, so hackers please listen in. Eight outputs and GND/0V mean a nine pin din is perfect for this cable snake. Simply use a standard 9 Pin DIN serial cable and if you decide to build one for yourself, just use the standard 9 pin numbering. 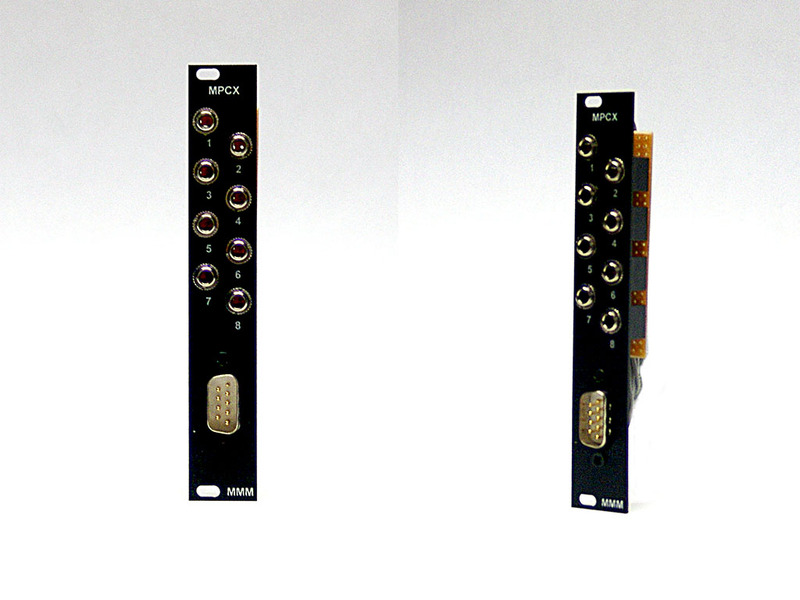 Output pin 1-8 is pin one through eight on the serial connector and pin 9 is Gnd/0V. This streamlines it into my setup nicely. Without costing a bundle too. 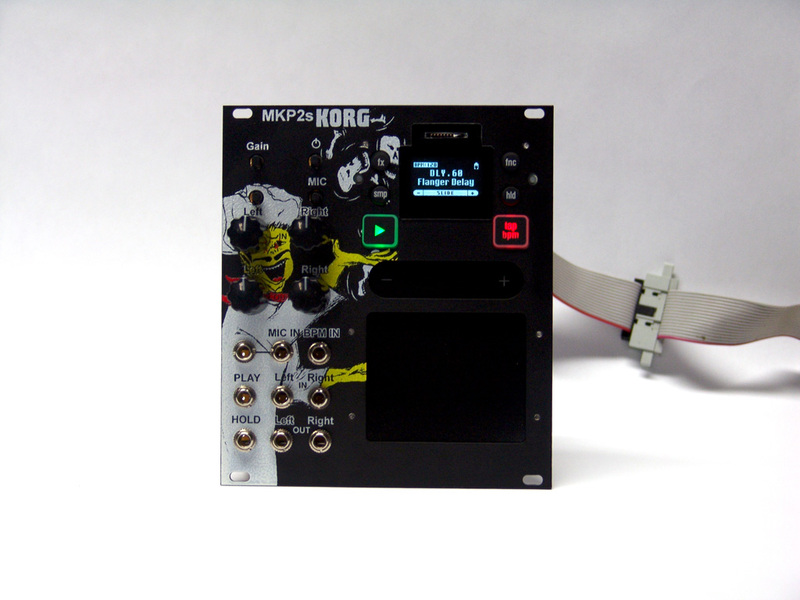 The outside case mod is pretty easy to do and you don’t even have to detach all of the internal MPCX’s cables making it one of the quickest mods I have completed to a piece of hardware. 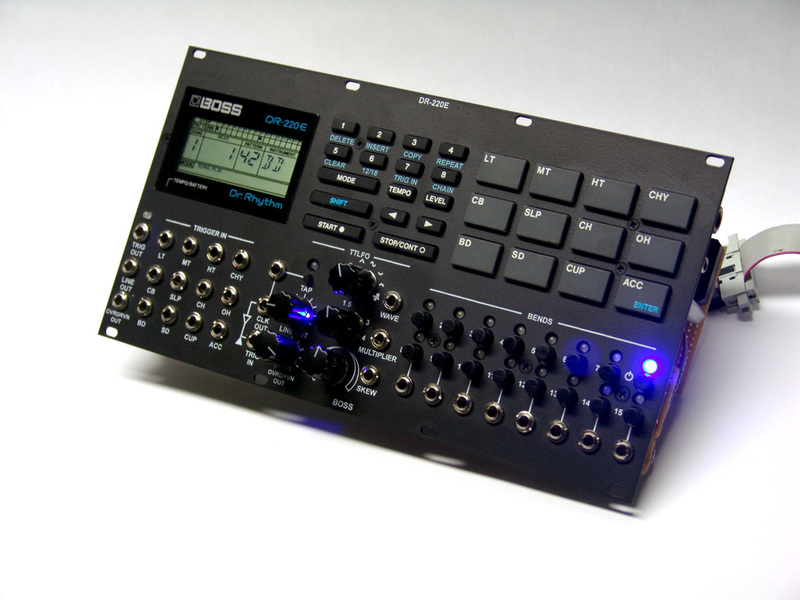 I was glad to see Strymon released their first eurorack module this year. Their Magneto module looks like a great entry and should fair well against others in that space. However after deeper analysis I find the module is lacking in a few areas. 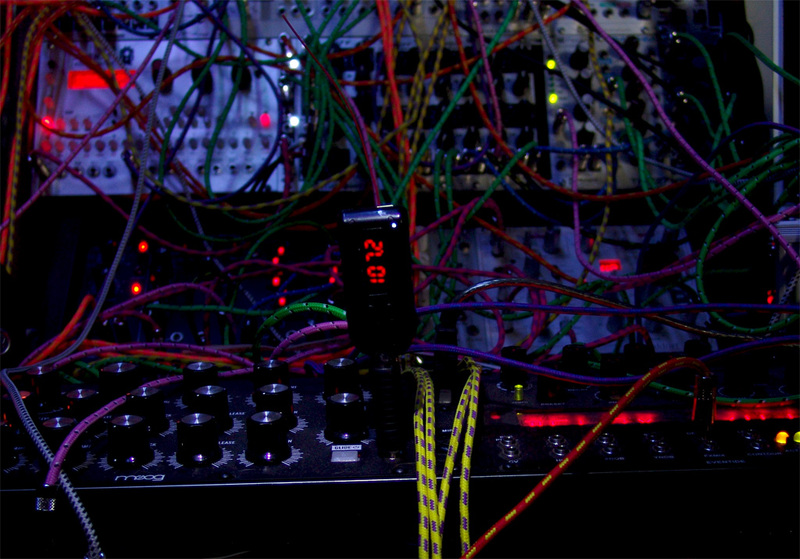 So, here I took their BigSky pedal and converted it over to a eurorack module. Having CV control over the parameters is a must and honestly, after using more CV, I could not go back to the original pedal again without them! 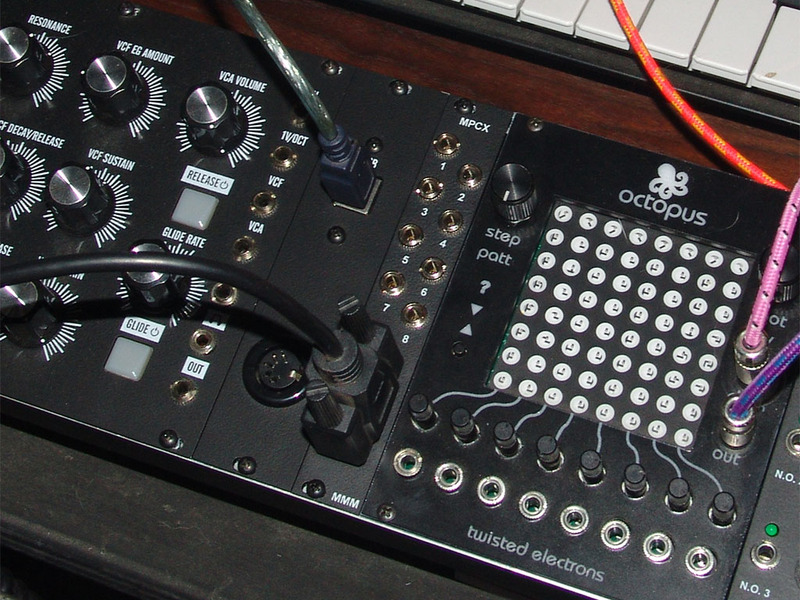 Plus, adding the MIDI in allows me to use the 60 Knobs & 60 Jacks to control it even further with CV! Link to the original manufacturers webpage HERE. Stop me if you have been here… …You have been patching your modular synth for a while and then you get a thought of “I wish I could use this modulation source to control one of my other midi synth’s!” Or what about a ‘deep’ guitar pedal that has a MIDI input and can be controlled via MIDI CC? 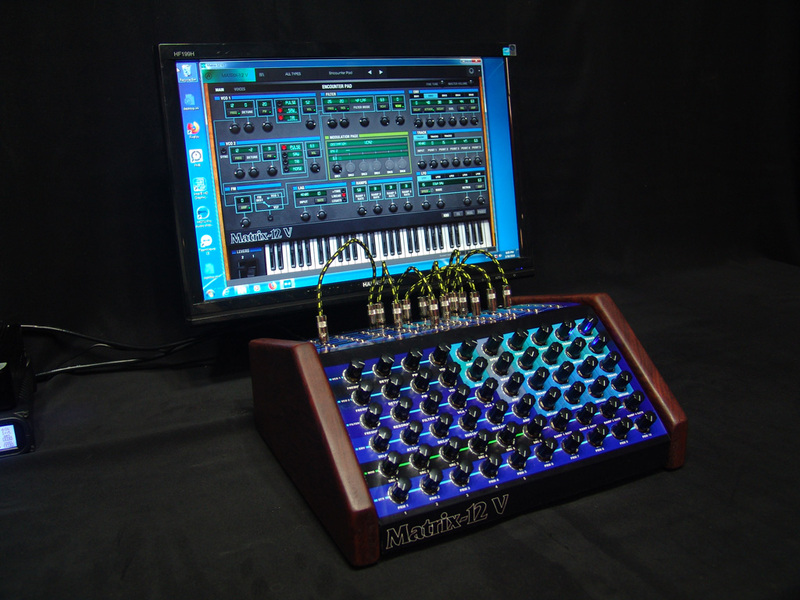 How about wanting to use many CV sources to control many MIDI CC’s or NRPN’s or even SysEx… …with a stand alone box? Or, how do I easily record all of these CV signals into my DAW so I can use them in MIDI tracks too? 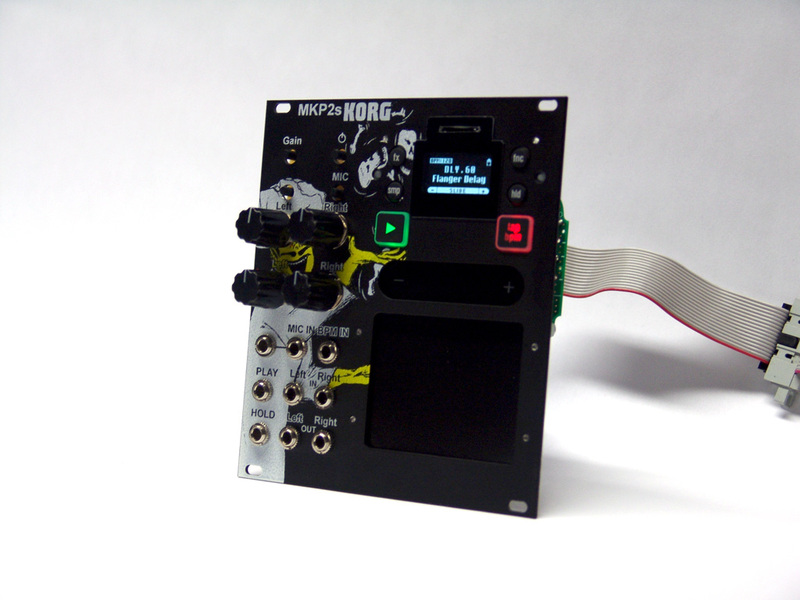 Bastl released their 60 Knobs project last year and made it open source! I immediately saw lots of potential and decided to see what I could come up with. Their original project is located HERE. Here are a couple of different configurations. So, what did I add? First is obvious, 60 jacks and the 60 pots are used as attenuators for the incoming CV signals. Next was a small 9 tile 1U rack that can be used for whatever you want. Here I have an oscilloscope, 4 LFOs from SYINSI (Each with three waveform outputs) and a couple of FSR’s from Pulplogic. 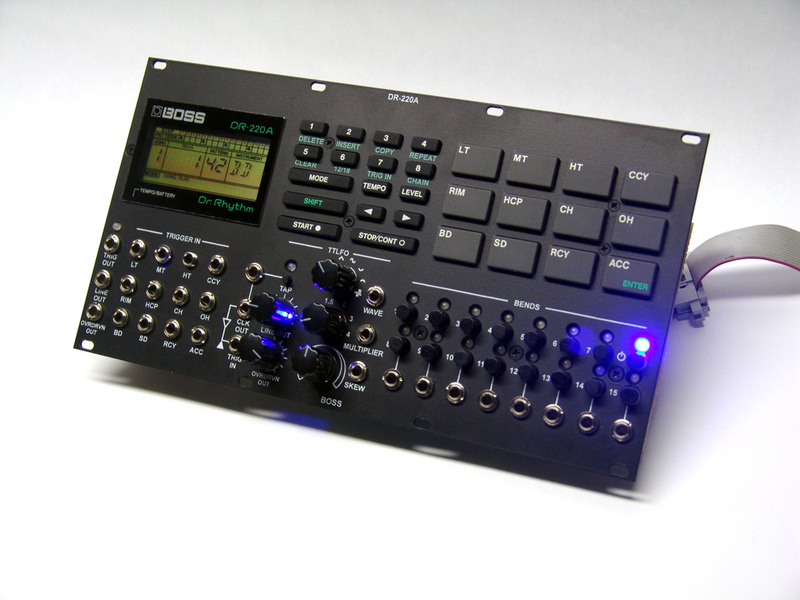 Of course you can patch up all of your existing modular gear too, but the on-board 1U devices are really helpful to get you started modulating quickly. And if you know me, you know I love me some 1U gear! 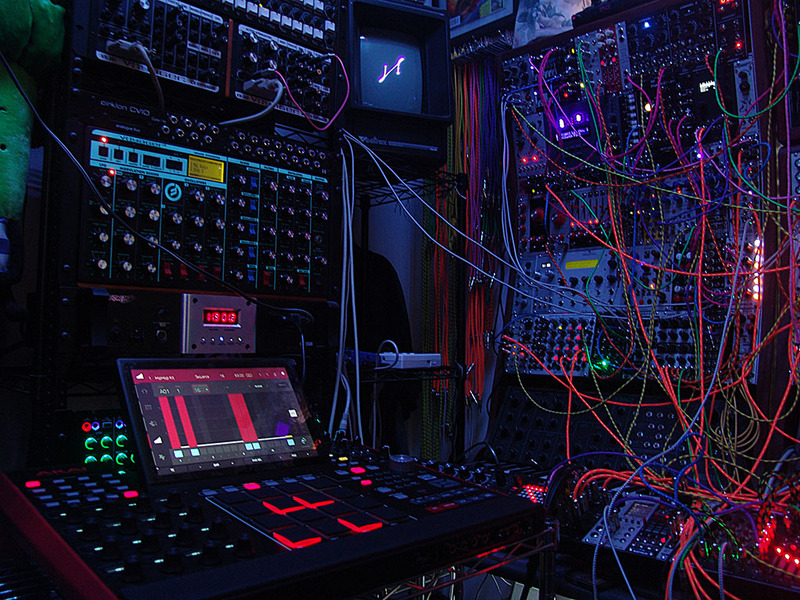 How do you organize 60 knobs & 60 Jacks? Custom printed/laminated, easily switchable vinyl templates! What ever custom configuration and arrangement can be made and are attached to the top and bottom of the console via thin strips of Velcro. 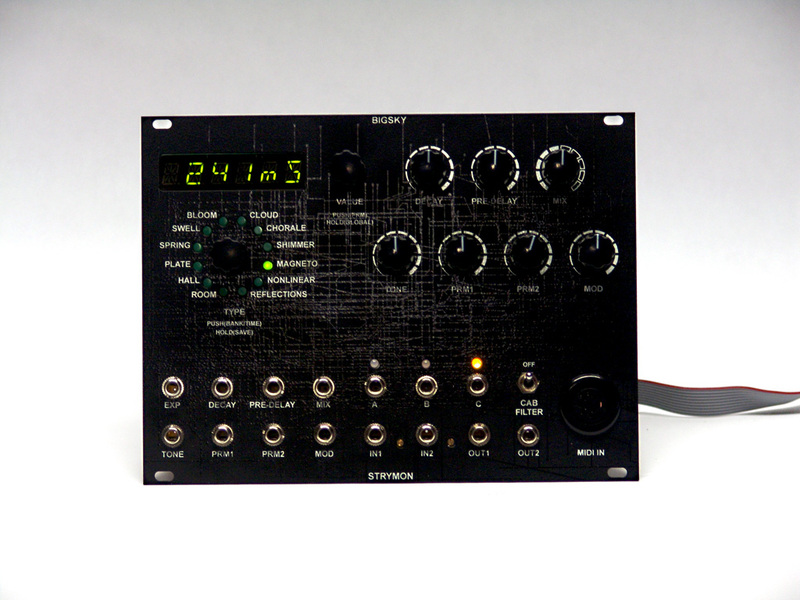 Want to modulate all of the modulators in a virtual Matrix 12 with your eurorack gear? 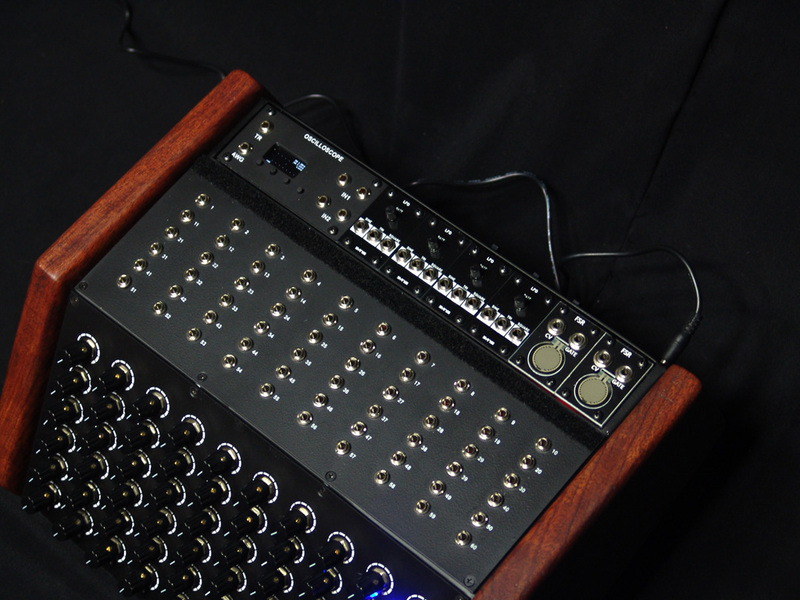 FUN with FM Radio and euro modular! I have an ADDAC 102 voltage control radio module and it has not gotten much use, so I had an idea to add some spark. 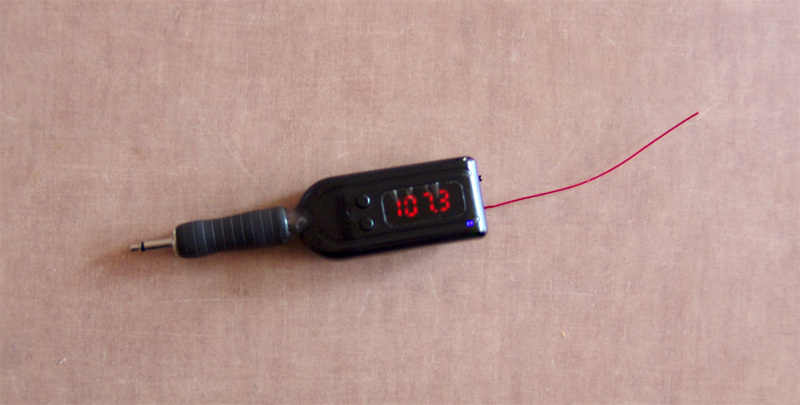 They sell these cheap FM wireless transmitters that are pretty cool and pretty cheap. They contain a Li-Ion battery and are USB rechargeable. I switched out the mic with a plug, added a 250K trimpot and now I can use whatever source I want to bring in an out of reception. 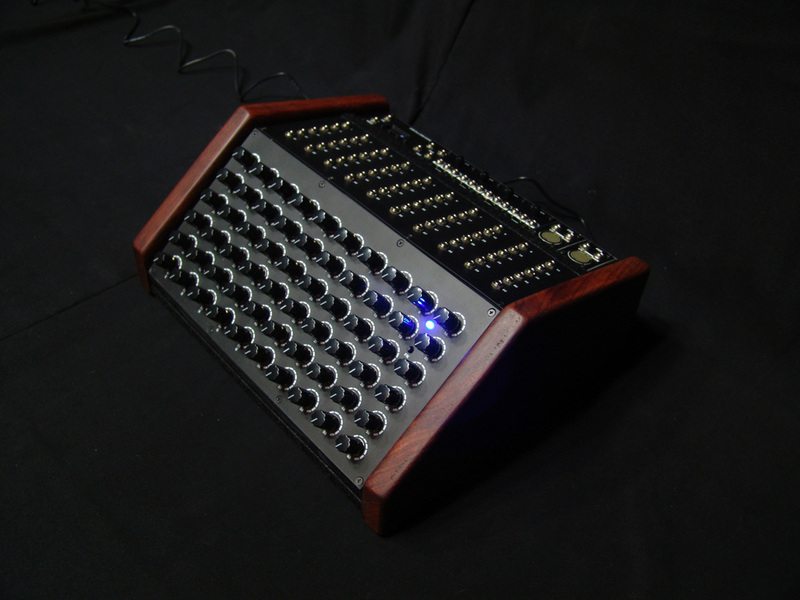 I might make a couple of them just for different sources using a sequencer. Anyway it has brought back life to using my voltage controlled radio!